Baconsdozen thirty years selling cars for old cars. About Baconsdozen,selling tools for classic and vintage cars,messing about with old cars,life etc etc. I bought a metal polishing machine (grinder with cloth wheels) and the compounds etc. 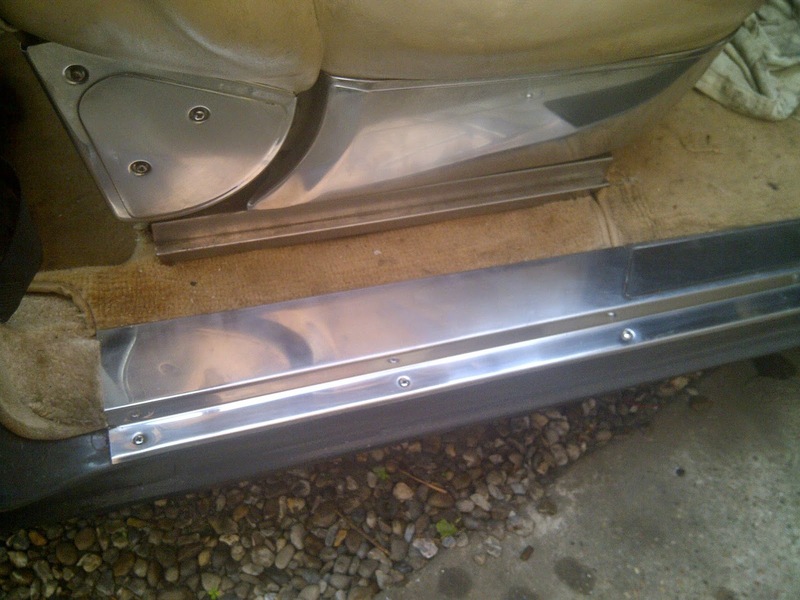 I had a go at polishing the seat trim and the kick plate on the drivers side. It came up quite well,I think I need a bit more practice, so I'm looking round for other bits to polish. 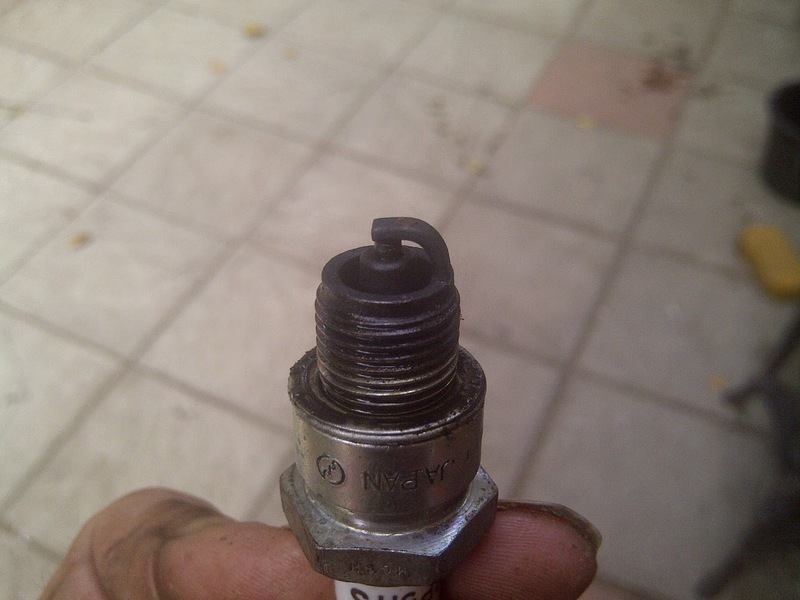 Some people say there is nothing in a spark plug to wear out.That might be true but they do eventually get covered in a layer that can short them out so that they don't spark.This gives a misfire at best or stops the engine at worst.These plugs I removed from my V8 engined P5b Rover. The choke mechanism was faulty and the engine was running on a mixture that was too rich. Using a combination of a solvent and oven cleaner it is possible to make the plugs almost as good as new.This avoids using a grit blaster (which most of us don't have) and avoids any grit or sand being left behind to damage the engine. No wire brushing or need for machinery and fancy chemicals. 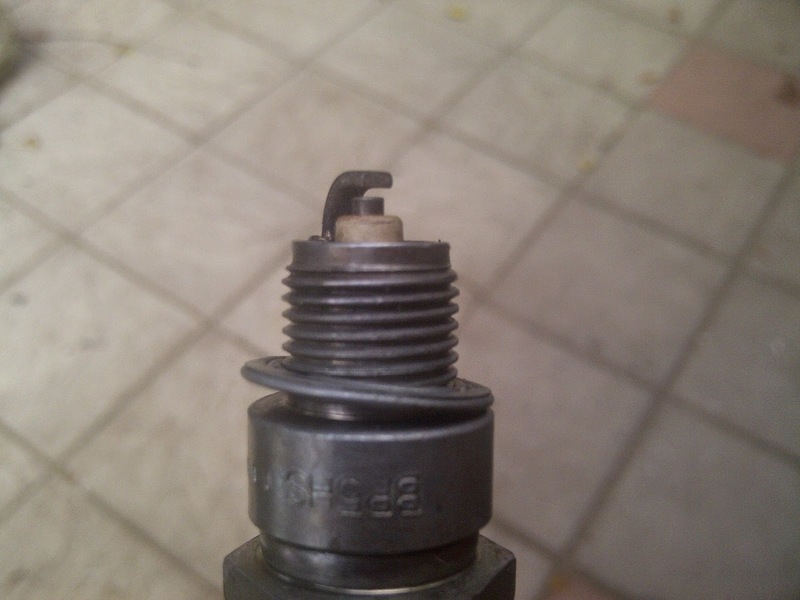 Details are on a spark plug cleaning page. Rubber door seals on the P5b. 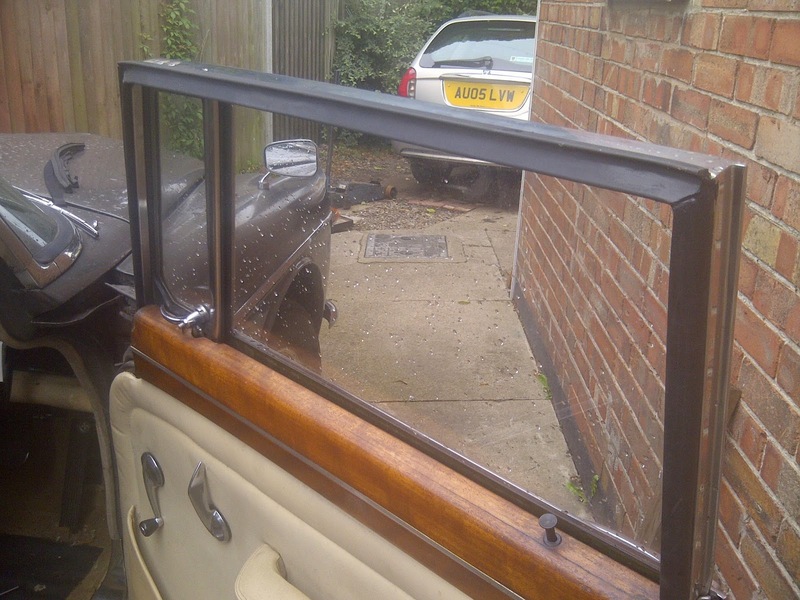 I was getting fed up with the wind noise and rain coming in around the doors of the Rover P5b. Door seals are available but very expensive for what are really just bits of rubber. I made some out of some sections I bought to repair the door seals on my transit. These give a double seal around the door and fit inside the original door seal housing. The new seals were glued together at the corners and the wind noise and the rain are now kept on the outside of the car. My interests are old tools,old cars and vans.I sell tools by mail order all over the world, for vintage,veteran and collectable cars,motorcycles and old machinery for a living. I live in the UK and enjoy car shows and auctions and can often be found wandering around autojumbles,swap meets and car boot sales looking for old and interesting car related items to collect or repair. As well as selling on the internet with my store called "Baconsdozen Imperial Tools" I sell and buy tools,car spares etc on ebay and at markets.